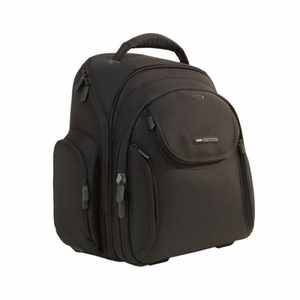 The UDG Creator Backpack Compact is a new age product for the new age artist. Specially designed to hold your Interface, Laptop Computer, Audio or DJ Mixer and your LP Records, all in one easy to carry, super comfortable Backpack. 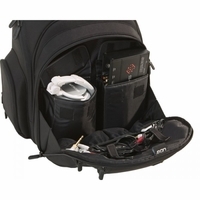 With a multitude of pockets for USB and Audio cables, MP3 Player, CD's, Headphones and Power supplies - The UDG Creator Backpack Compact is the ONLY choice for the Digital DJ. Constructed of heavy duty, water resistant Ballistic nylon, the UDG Creator Backpack Compact, features EVA padded walls, with removable protective inserts for a custom, secure fit. Ultra comfort, moisture absorbent, durable handle grip, hidden rain cover, multi function, pockets, and rear organizer section. The perfect product for your gig.